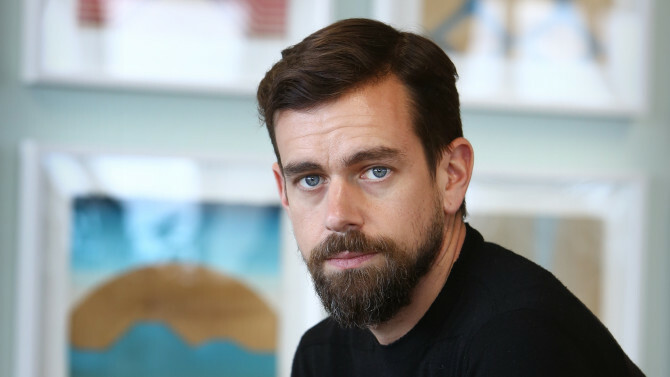 Jack Dorsey, Twitter and Square CEO, sat down with us before speaking at YC’s weekly dinner. What might the world look like in ten years? All the technologies I see that make the world feel small and close are really exciting to me. It’s amazing how far we’ve progressed–in the past six years I’ve formed such a deeper understanding of life in Iran through what people create online vs what comes from the government and country of Iran, which is important. Technology allows people to choose to stay small but act on a global stage. Software will continue to disrupt physical things, too. What we’re doing around AR is just amazing. The minimization of atoms is something that I think we’ll see continue to see over the next ten years and that’s exciting–I’d prefer to have fewer physical things. What’s the most useful piece of advice you’ve ever received? Focus on the dynamic between people rather than just the individuals. We often obsess over the individual people that we recruit and don’t spend enough time thinking about how they change the team dynamic–whether they add or detract. That dynamic is at the core of how a company functions. If you have a great team dynamic it makes every single person on the team better. If you don’t, it makes everything a drag. Not understanding how a person changes the dynamic and not parting ways with the detractors quickly is a mistake I’ve made several times. Firing someone is just really hard to do – but you have to do it sometimes – and when you understand the benefit in the outcome it helps you get through the short-term pain. Ten years from now, how have you improved yourself? I’m much more focused on the present. I think we’re obsessed with looking forward rather than just dealing with what’s in front of us and I think technology has a role to play there. I’m fascinated by how we can impact our realities based on how we think about things. The sense of always having to look into the future or the past, and therefore ignoring the present, is really detrimental. I get better if I’m more focused on what’s in front of me. I get better if I’m truly present and not putting too much thought into the future. Being more present and having more self-awareness is one of the hardest things we all face. If you weren’t working on Twitter and Square what would you be working on? I like building tools so I’d be working on a tool that helps empower people to do something bigger than themselves. Mental health is really interesting, especially because there’s so much to it that we don’t know. I’m curious about the mind and I think what we’re building around AI and machine learning works to help us better understand what we’re already born with. Ultimately I think all these things are mirrors on us and our values. I keep coming back to it. I love the straightforwardness, the tightness, and the poetry. I think it shows a common struggle that is repeated over and over in so many narratives both fictional and nonfictional. I love the poets. Poetry is kind of like programming–it’s densifying very abstract concepts into a medium that allows interpretation. People can make the work their own and have better, more creative answers in life. Really anything that helps us reflect a bit more interests me. Whitman’s also an interesting character, a total entrepreneur. He self-published 35,000 copies of Leaves of Grass. He was publishing it during the time of the Civil War and it’s an edgy, questioning book. It questions racial equality, sexual equality, gender equality, all in one work. And he kept changing it until he died–adding to it, editing it, and republishing it. Most people read the last version but I think the first version is actually the best. The efficiency of every line in that poem, much like great programming, is stunning. What’s something you’d tell your younger self? Balance. When I was young I didn’t understand the value of exercise or health and how that affected my intellect. I think it was useful for me to go to all the extremes to find the balance I have now, but I wish I focused more on being healthier in the past. A healthier lifestyle ultimately makes me more creative and allows me to think more cohesively.